After seeing the success of my article on contour product for NC40-42, I figured I should try a few more contour products.. 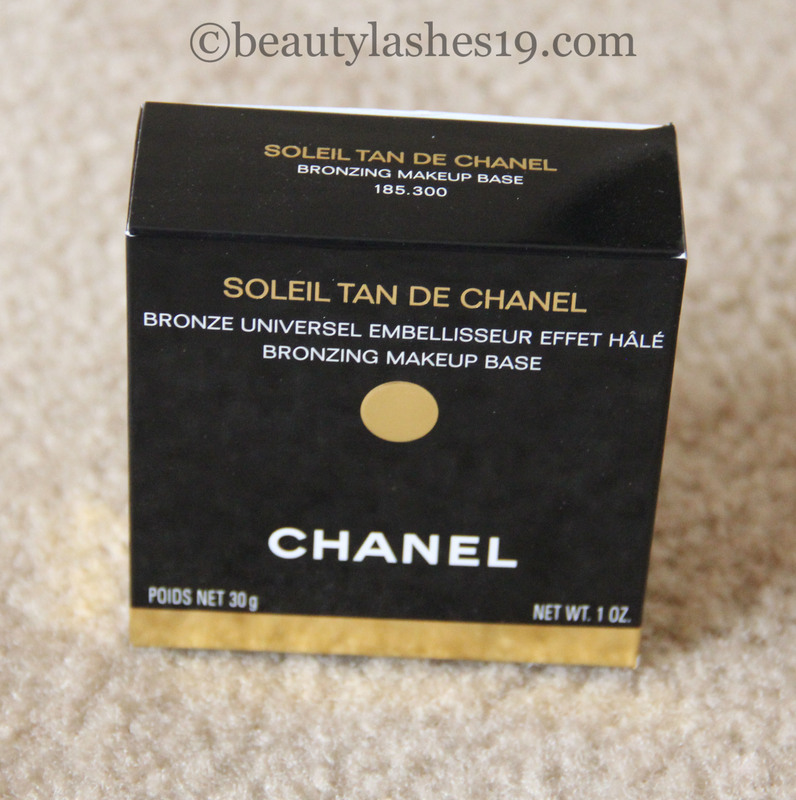 So, here’s my review of the much loved Chanel Soleil Tan De Chanel bronzing makeup base (earlier known as Bronze Universel).. Hope this is helpful to you..
Chanel is probably one the few companies that makes a good cream bronzer.. 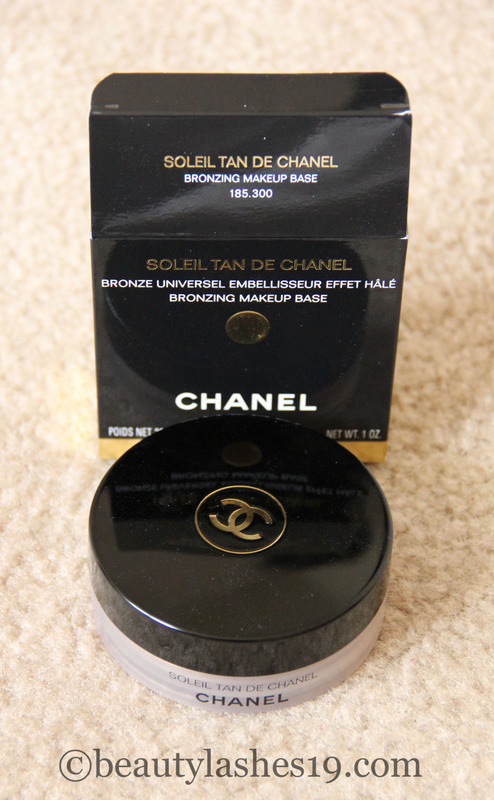 The Chanel Soleil Tan De Chanel has been a favorite of makeup artists for many years.. The only downside is that it comes only in a single shade.. I purchased it from Nordstrom and it cost USD $48.00.. It comes in a huge plastic jar containing 30g of product, which will last forever! It is well worth the money considering the cost per gm of product compared to other brands such as MAC, Benefit, etc.. The container looks like frosted glass and has a black plastic twist-off lid.. 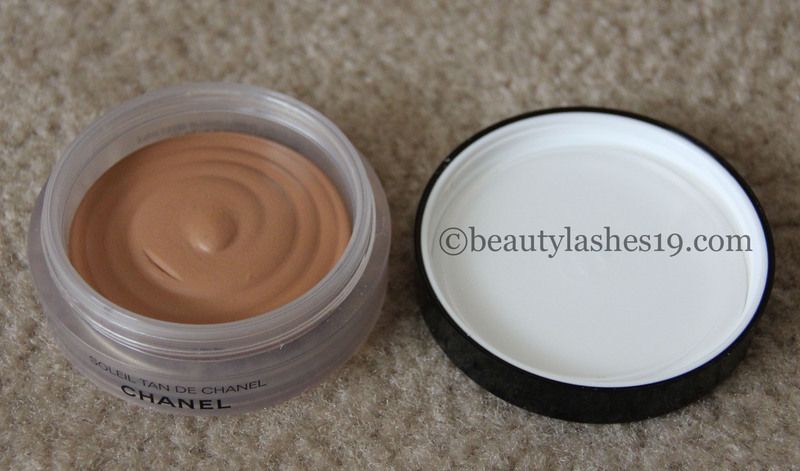 The lid has the classic Chanel logo in gold while the container has the words Chanel Soleil Tan De Chanel embossed in black.. 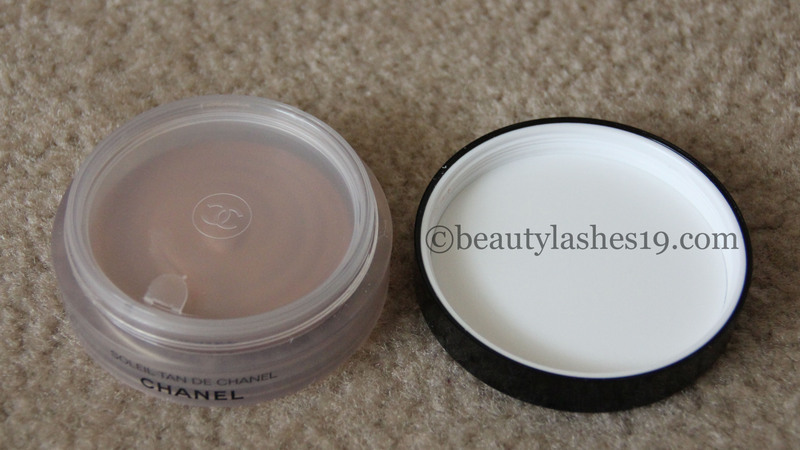 The packaging has a lid inside that helps seal the container from air and hence prevents drying out of the product.. Image: Unblended swatch on a portion of my wrist that’s pale from wearing a watch.. Right: Blended out.. The pale area on my wrist now blends in with the rest of my hand.. 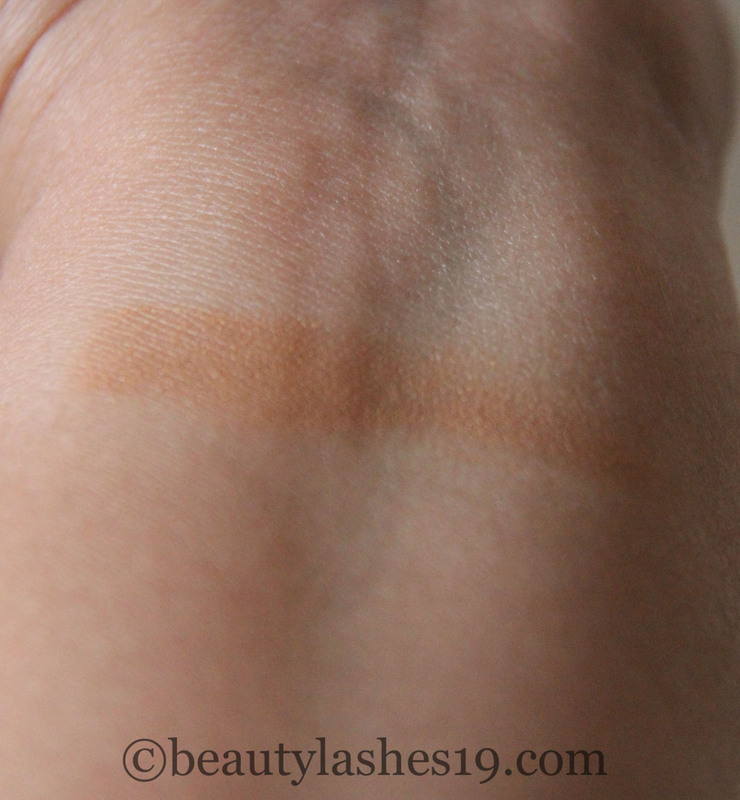 The product is a gel-cream which is a warm brown shade.. It works on most skin tones upto NC42.. This product may be too light for anybody deeper than NC42 skin tone.. It can be used on its own or under or above foundation.. With a light hand, it makes for a great bronzer and gives a beautiful glow to my skin.. When layered and topped off with a powder, this develops into an excellent contour product.. It blends beautifully on the skin and is easy to apply.. It can be worn on its own to add warmth to the skin and to even out the skin tone.. It leaves behind a diffused, bronzed effect.. It stays put all day and doesn’t look orange/red on my skin.. With this product, it’s important to use a good brush that doesn’t shed.. I personally prefer the Real Techniques contour brush.. It gives a lovely finish to my skin.. I highly recommend this product if you are on the market for a natural looking cream bronzer/contour product..